Sofa, or couch whatever you call it, this piece of furniture has always given you all the comfort and relaxation whenever you needed it the most. But with time, it has also become the realm of a large number of stains and dirt. As it is the most frequently used item in your space, a sofa becomes the hotspot of dust particles, dog fur, stains, food crumbs, pests, and termites. Actually, it is the fabric of the sofa that absorbs all these items. But whether it's the fabric or any other part of your sofa that is responsible for all that unwanted dirt and germs, you need to keep it clean anyway! And cleaning a sofa is definitely not an easy task to accomplish. This is when you need a thoroughly reliable name like Radiance. Known for the best sofa cleaning services in Delhi India, Radiance is always there to help you with all sorts of cleaning services. At Radiance, we proffer the best of services at the most economical prices. Why do you Need to Avail our Sofa Cleaning Services? To keep your sofas hygienic, it is very important to keep them clean and dust-free. To make this tedious job easier, Radiance Space is here with the best and the efficient sofa cleaning services in Delhi-NCR. By availing our sofa cleaning services, you can keep your sofas as new as ever. In fact, with timely cleanliness, your sofas can look better. Radiance Space is equipped will all the latest technologies and equipment at par with international standards. 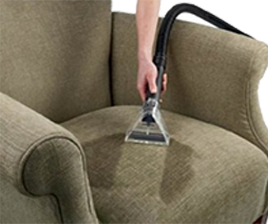 We use latest machines and advanced tools so that we can provide an effective cleaning treatment to your expensive sofa through our sofa cleaning services in Delhi-NCR. You can contact us to avail our sofa cleaning services to revive the look and appearance of your sofa and make it free of dirt and germs. The quality of any service can be measured by its process. If the service provider is following a systemic approach, then you can put your trust in its services. As far as our sofa cleaning services are concerned, we follow a systematic process so that our clients can get the desired outcomes. Schedule booking: We use multiple digital platforms to support clients to schedule their service bookings. People can avail our sofa cleaning services directly by downloading our Radiance Space Mobile Application from the play store. You can also call us directly at 8595121212 or book directly from our website. This method not just saves time and money, but reduces unnecessary hassles as well. Radiance mobile application enables users to request for quotes, approve them or request for a new one, track service delivery and get all documentation such as invoices, directly from the palm of your hand. Visit: Once you have scheduled the visit, our experts will reach your location at the designated time with all equipment and begin with the sofa cleaning process. All you have to do is sit back and relax. Our team is highly efficient in their work and requires no monitoring or instructions. They are also known for completing their work on or before time. Enjoy Clean Sofas: All works will be executed in the speculated time frame and customers enjoy clean and hygienic sofas, which also smell great. Enjoy the appreciation of your guests.